Great architect and designer Le Corbsier said of Thonet’s chairs, “Never was there an object as elegant, as well conceived, as precise in its execution, and practical in its usage.” Le Corbusier knew what he was talking about, Michael Thonet's bent wood furniture designs are some of the most beautiful and lasting pieces of usable furniture history. 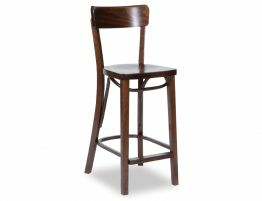 The Michael Thonet original Melnikov Roundback café restaurant chair is simple yet chic, durable but light making it a favorite of kitchens, cafes and restaurants since the mid 1800s. The Michael Thonet designed Melnikov Roundback café restaurant chair is a true original made from solid bentwood and pictured here in its natural finish. 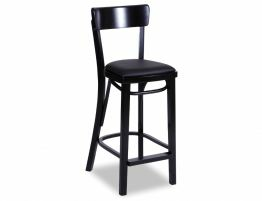 The roundback chair is the perfect update to your modern, classic or rustic dining space. The Melnikov roundback chair has such a classic form that it fits in nearly anywhere. 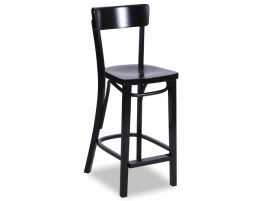 A favorite of restaurants and cafes for nearly 100 years, this chair can withstand heavy use and give your restaurant a chic, European vibe. 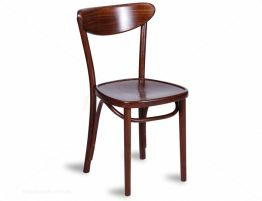 Michael Thonet crafted his first bentwood chair over 150 years ago and they still continue to be a staple of chic European cafes everywhere. 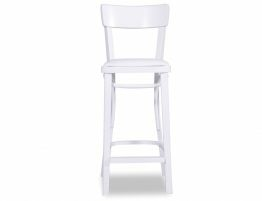 The lasting success of Thonet’s chairs and stools is in part thanks to their elegant form, design simplicity and durable construction. Michael Thonet realized that he could use steam to bend solid wood creating furniture that proved to be remarkably long lasting and hardwearing owing in part to minimal hardware and no glue. Thonet, with his innovative use of steam and beechwood, created a lasting, iconic form and inspired the bentwood forms of designers to come. 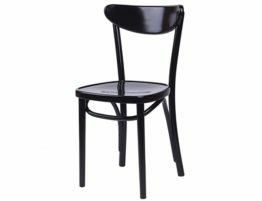 Thonet was a pioneer of mass production usually opting to open factories where both materials and labour were plentiful. 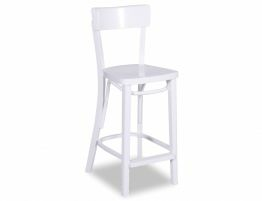 In 1881, the Thonet company opened a factory in Poland where Thonet chairs are still being made. The Relax House Thonet inspired collection is made in this very same factory in Poland that has made Thonet chairs for well over one hundred years. For modernists everywhere, Thonet’s designs have come to represent the simple pairing of form and function and the austere economy of materials. Here at Relax House, we give a hearty danka schoen to German furniture auteur Michael Thonet for his simple but chic bentwood chair designs.